Robinhood is a relatively new brokerage founded in 2013 in Silicon Valley with a killer value proposition - unlimited commission free trades. The Millennial focused investment firm has executed over $30 billion in trades and raised $176 million in total funding, most recently a March 2017 Series C valuing the company at $1.3 billion. None! No trading commissions or annual fees. In the days of Mad Men, investing in stocks was only for the wealthy. As recently as the 1990s, many brokerages required you to call in and speak to a stock broker on the phone to buy or sell shares, and charged a hefty fee for the privilege. In the 2010s, a lot has changed. Retail investors and professional investors alike have access to nearly instant information on companies thanks to smartphones and news alerts. The price to buy and sell shares has dropped to around $5 per trade, but one brokerage is going even lower: free! But does Robinhood make sense for you? 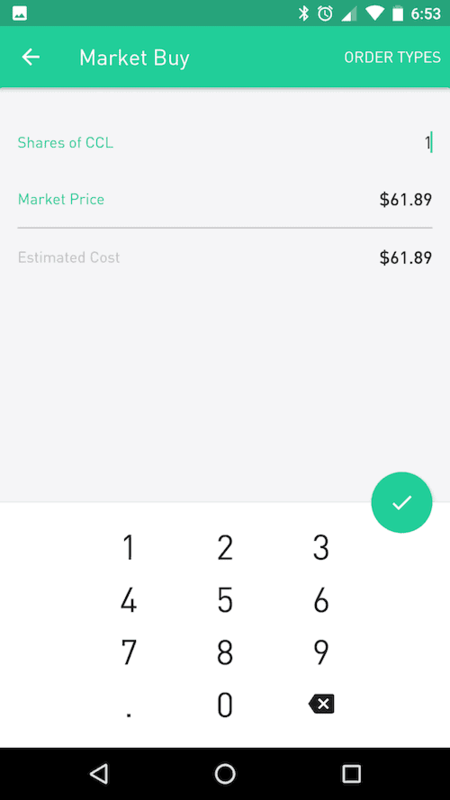 We took a fresh look at the app to put together this Robinhood app review. Follow along with our Robinhood review to learn how it works, what it costs, and if investing with Robinhood makes sense for you. 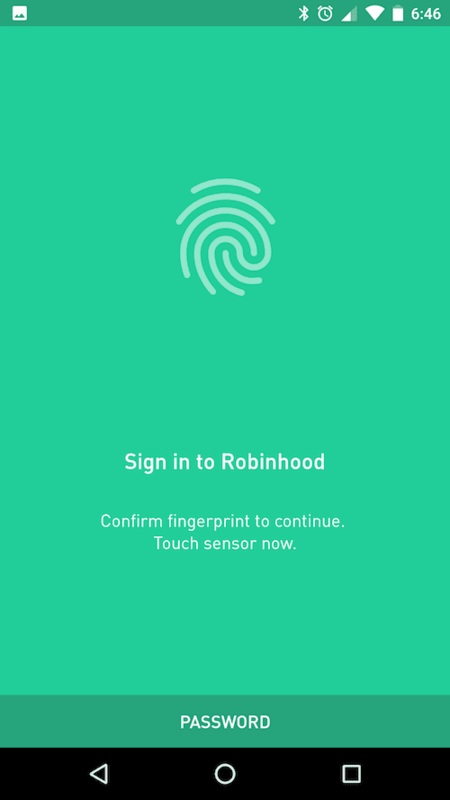 The first part of the Robinhood experience is signing up for a new account. There is no minimum investment to get started. To test things out, I started a new account with a $100 opening deposit. The signup process is simple and took me less than five minutes. While you may be tempted to head to their website to get started, the entire experience is geared toward the mobile app. If you are not comfortable with Android or iPhone apps or do not have a smartphone or tablet, Robinhood is not for you. Signing up requires downloading the app from the Apple App Store or Google Play Store. I was able to easily download and install the app and create a new account, which requires an email address and picking a unique username. Because I have a new version of the Android operating system and a fingerprint scanner on my phone, I was able to add secure logon by fingerprint so I don’t have to type a password each time I open the app. Connecting to any major bank is easy. 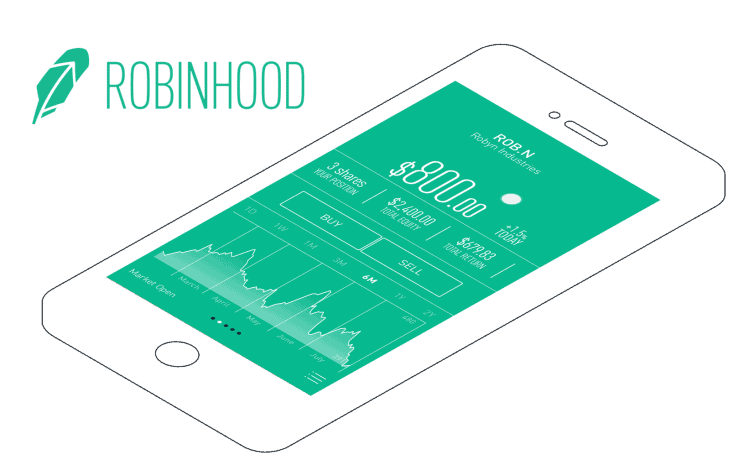 Just choose your bank, enter your username and password, and Robinhood will verify the account and balance instantly. I was able to fund my account with $100 and get instant access because Robinhood was able to verify my balance. 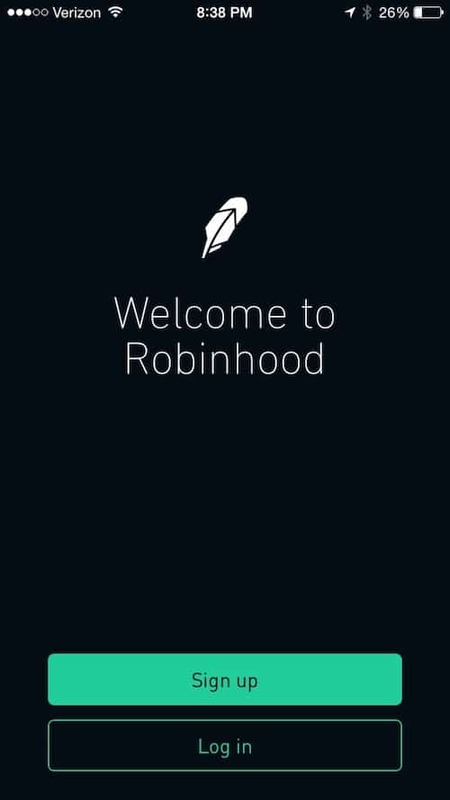 With instant access to my funds, it is time to test out free trading with Robinhood! This app supports two-factor authentication, and it is a good idea to add that for your account to ensure your investments are safe if you lose your phone or someone gets ahold of your password. While the signup process was simple and took only a couple of minutes, buying a stock was not as obvious to me from the start. I can see my account and $100 balance, but navigating around the menus did not clearly show me where to buy and sell. It turns out buying and selling stocks starts with searching for them in the top right corner. I’ve been eyeing a few stocks to buy lately and used to be a big Tesla skeptic, but lately I have been impressed with the push into solar and battery storage, so I initially decided to put my $100 into this stock on speculation that the solar and battery markets will take Elon Musk’s company to new heights. I searched for Tesla, ticker symbol TSLA, and the recent stock history appeared along with a buy button. 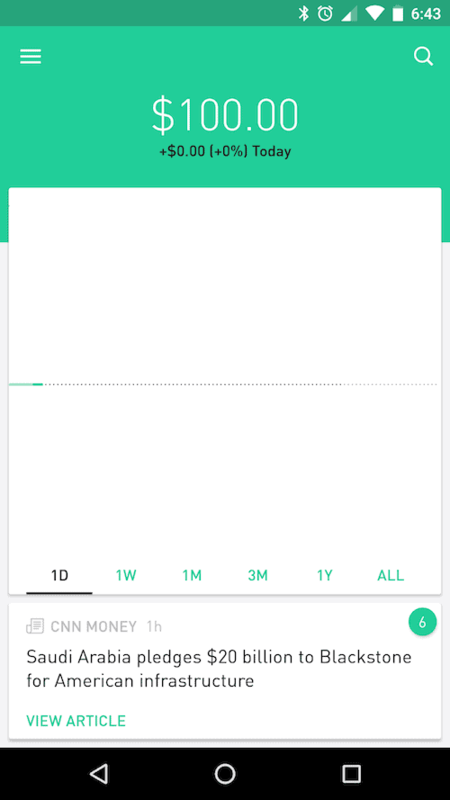 I quickly found that Robinhood only allows buying full shares, not fractional shares, so it was back to the drawing board for my $100. I ended up deciding on cruiser operator Carnival (CCL) as a solid pick. One of the coolest features of the Robinhood app, something often highlighted in Robinhood app reviews, is the quick and easy access to recent news for your stocks. I scrolled down to see three recent stories along with stock data, recent earnings, and a basic company overview. I had already done my research before opening the Robinhood app on my phone, so I didn’t have any qualms hitting the buy button. To buy, just type in the number of shares, review the estimated cost, and swipe to trade. All trades are market orders in the Robinhood app, so the price you see on the estimate screen may not be the final price you pay. Next I swiped up to confirm my trade. Moments later, digital confetti was falling down my screen confirming that my order of CCL was completed. I picked up one share at $61.89. I paid no commission and am officially a shareholder of Carnival Cruise Lines. Because it is a mobile app native on Android and iOS, Robinhood members can get instant updates on portfolio companies and watchlist companies as notifications. In addition to an email confirmation, I got a popup confirming my order for CCL had completed with the transaction’s details. 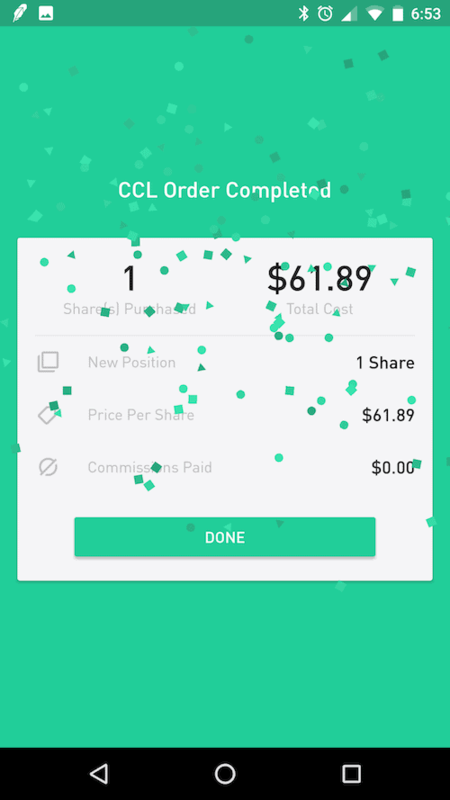 Now that I own CCL on Robinhood, I will get major news stories as app notifications on my phone. I am a long-term investor with a Warren Buffett like time horizon planned, but shorter term traders can use these notifications to quickly learn positive or negative news that may lead to the decision to buy or sell shares. I decided to set up my watch list to include stocks I own at other brokerages as well. The default watchlist is made up primarily of tech stocks, and I removed the ones I don’t care about on a day-to-day basis. You can customize your notifications in the app settings. The default account type is free and offers free trades, but Robinhood also offers a premium service called Robinhood Gold. Gold accounts are not free. Robinhood Gold offers extended hours trading with before hours and after hours market access, margin trading at up to 2x your account value, and instant reinvesting and access to funds after stock sales without waiting for the typical three day settlement period. The cost is based on the size of your margin account. The default account is best for passive investing and slow trading schedules. If you plan to do any day trading or want to trade on margin, you require a gold account. Due to Federal regulations, you must have a minimum $2,000 account balance to upgrade to Robinhood Gold. If you don’t want Gold, don’t worry. Robinhood states clearly on its site that the basic account type is free, will always be free, and will always include free trades. With a cost of $0 per trade, Robinhood is a great option for Millennials fresh out of college and experienced investors alike to get into the stock market at a low cost. While Robinhood does not offer the extensive research and services that some of the more established brokerage firms offer, you absolutely get your money’s worth at Robinhood. After signing up and buying shares through Robinhood, I can confirm it lives up to the hype. It is an easy, fun brokerage to use to quickly buy and sell shares of stock with no commissions, fees, or account minimums. If you are looking to get started investing in the stock market, Robinhood is a great place to begin. It's an app-only brokerage that offers $0 commission trades on stocks – no minimums, no maintenance fees, and a streamlined interface that is intuitive to use. Robinhood is a FREE "No Commissions" Broker. The first of it's kind! Unfortunately, it appears Robinhood made the decision to go with zero commissions at the sacrifice of features that have been standard on every broker for many years. 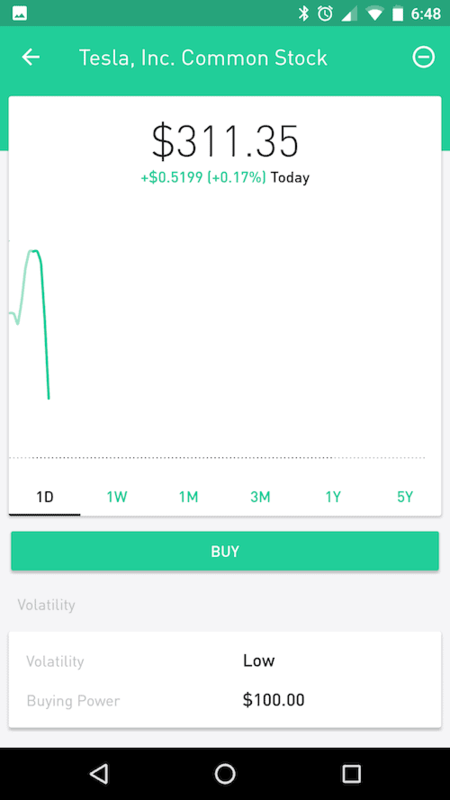 With the Robinhood app, yes you can truly make free stock trades. The no-frills service targets primarily Millennial investors. The service is easy to use and is limited in functionality. Ideal for investors willing to give up full-service brokerages for the ability to purchase stocks and ETFs without paying commissions or fees. Robinhood offers real-time market data but little in the way of research or tools.